Often times you may come across a song and you’ll know within the first few seconds of listening to it that it’s going to be something that stays with you well after it’s over. Upon realizing this you’re probably going to immediately search for every other bit of material that the artist has released because just hearing one track on repeat for minutes on end isn’t enough. 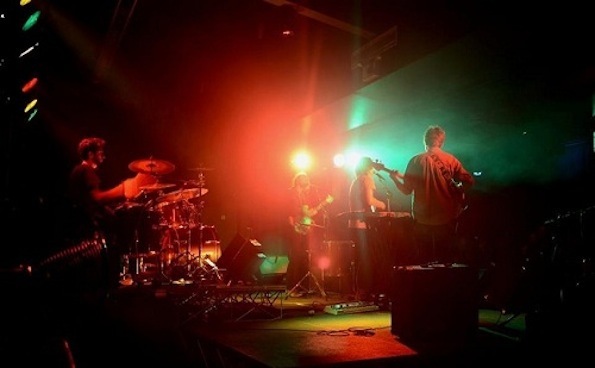 That’s exactly what happened with us once we came across the Melbourne four piece by the name of Towers and their debut single “Bear,” and ever since, we’ve been captivated by the group’s particularly spirited and raw indie rock style. Their sound may remind you a bit of Grizzly Bear or My Morning Jacket, but regardless of comparisons, Towers has a special spark and they’re just what we needed to hear. If you’re loving this as much as we are, then head over to Bandcamp and purchase their self-titled EP. It’d be a mistake not to.